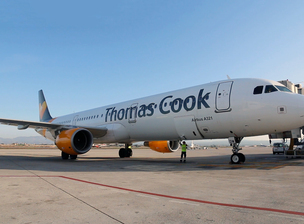 Thomas Cook Airlines has launched a new airline, based in Majorca, to supplement its existing operations. Currently operating ongoing airlines in Germany, the UK and Scandinavia, Thomas Cook Group Airlines has applied for a new Airline Operator Certificate (AOC) in Majorca with the aim of scheduling the first flights from early 2018. The new airline released the news yesterday and the new venture will be called Thomas Cook Airlines Balearics, which is part of Thomas Cook Group Airlines’ growth plans, giving it a new base in its most popular destination from which it can provide flights to support its other airlines, according to seasonal demand. The new base in Majorca will provide the Group with greater operational flexibility at a competitive cost while allowing it to maintain closer control over the quality and customer experience than its current third-party lease arrangements. The new airline will commence operations with at least three Airbus A320 aircraft which previously operated for Thomas Cook Airlines Belgium. These aircraft will initially take over short and medium-haul flights for Thomas Cook’s German airline Condor to replace third-party aircraft leases. Christoph Debus, Chief Airline Officer Thomas Cook Group, said: "The new airline and base will provide us with the right platform to better manage the seasonal demand in our business, giving us more control at lower cost as we continue to expand the choice of destinations we offer our customers. With more than one million Thomas Cook customers flying into Palma every year, we have a strong existing infrastructure on which to build." 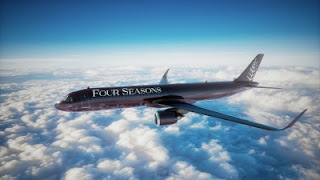 This announcement of the new AOC follows the recent agreement with Canadian Airline Air Transat for the exchange of aircraft on a seasonal basis to better balance the seasonal demand for short and medium-haul aircraft in the European and Canadian leisure airline markets. It is understood that Thomas Cook Group will also transfer 90% of the UK based / registered aircraft to the new start-up Thomas Cook Airlines Balearics, should the UK leave the EU without a deal at the end of the Brexit negotiations.